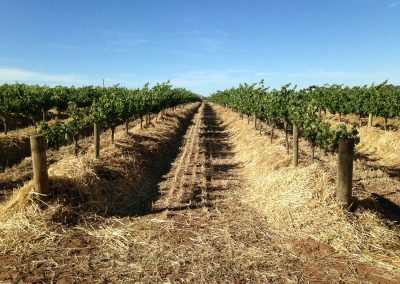 Have you ever wondered why some vines don’t seem to respond to irrigation during extreme heat events where others thrive? 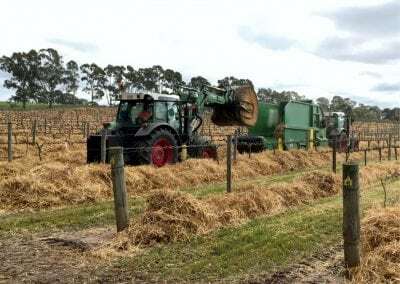 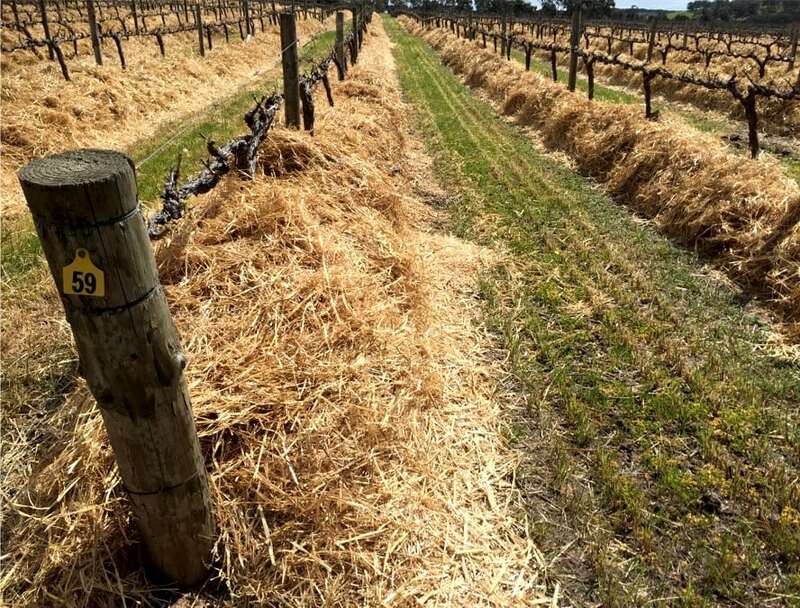 One of the biggest benefits of straw mulching is that it helps retain soil moisture. 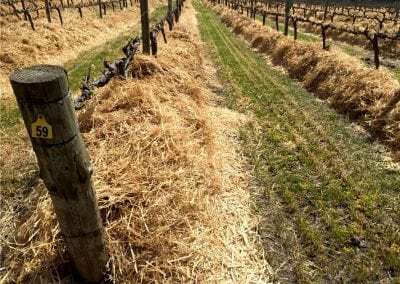 Vines with under-vine straw mulch cope better with our increasing number of extreme heat events, as the feeder roots are kept at a more ambient temperature due to a cooler soil surface. 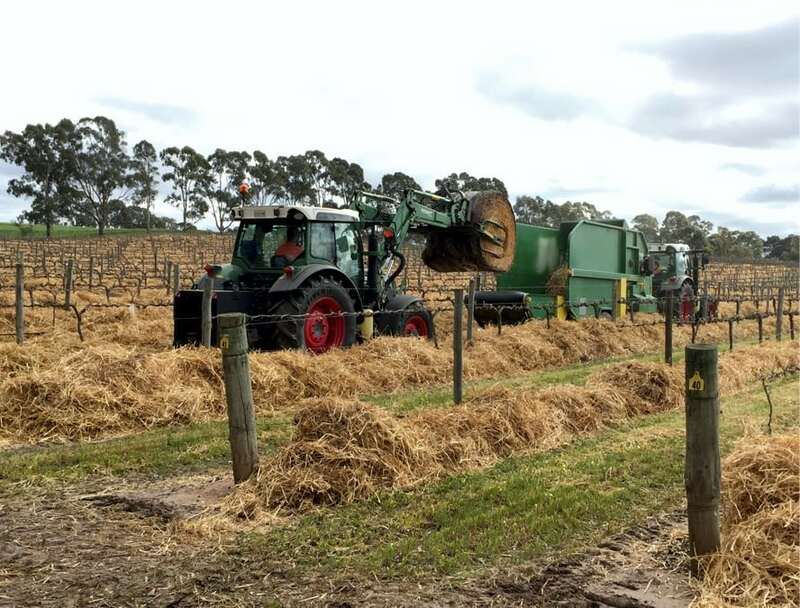 As straw breaks down over time it improves soil structure and soil porosity allowing increased water infiltration and less runoff. 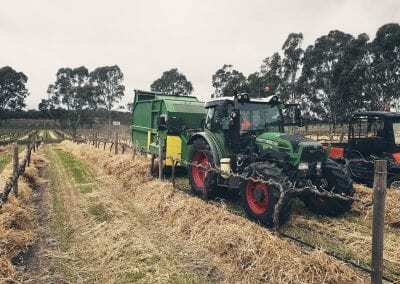 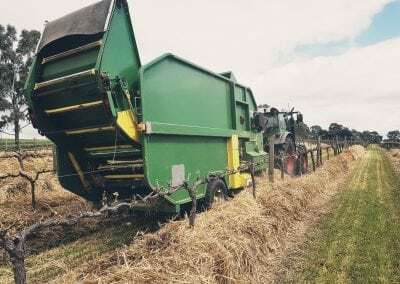 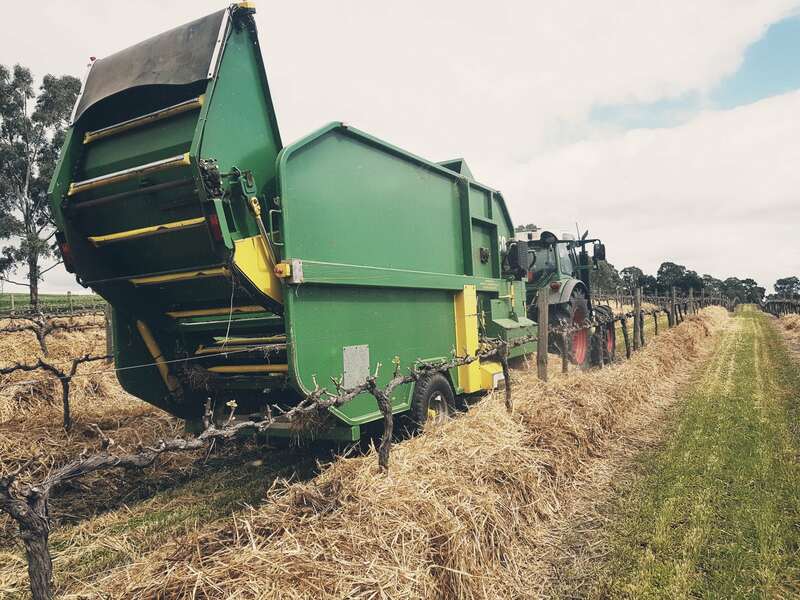 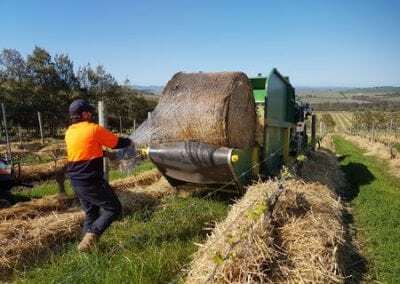 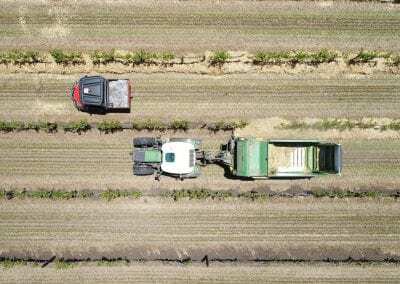 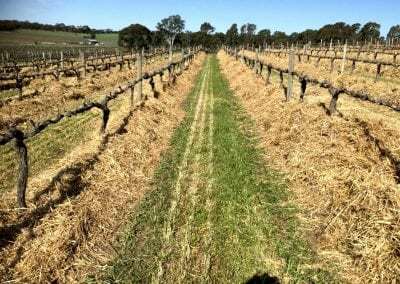 There is also a dramatic reduction of weed germination under-vine with straw mulching as most weeds are unable to penetrate the layer of straw. 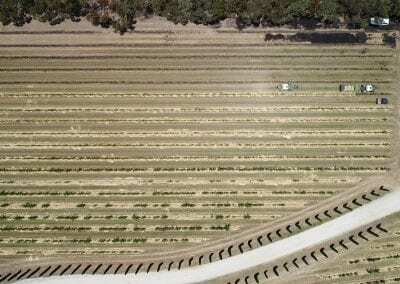 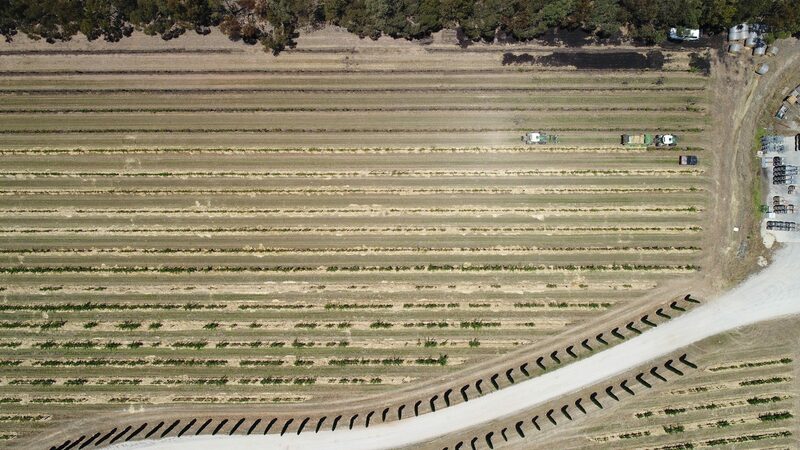 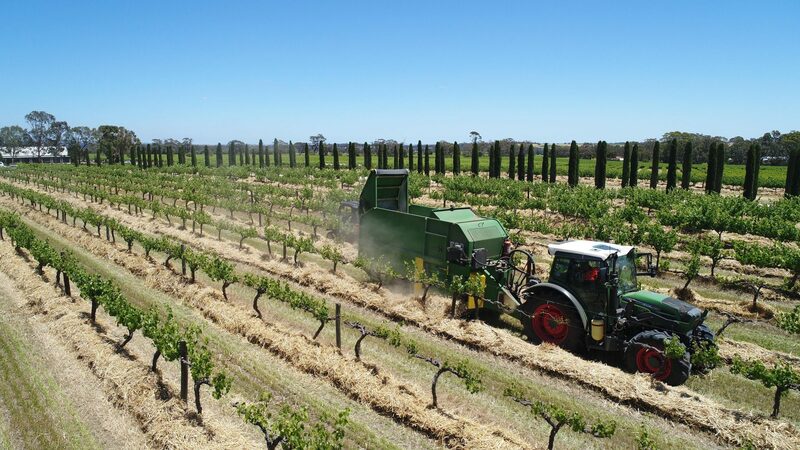 LGVS are able to accurately quote and supply the highest quality straw and spread under-vine in your vineyard. 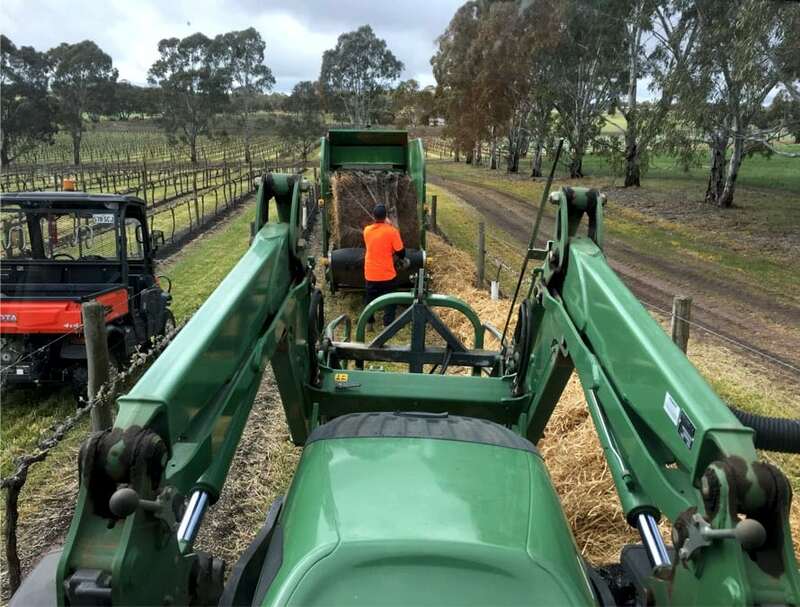 You tell us which blocks you would like to straw mulch and we handle the rest. 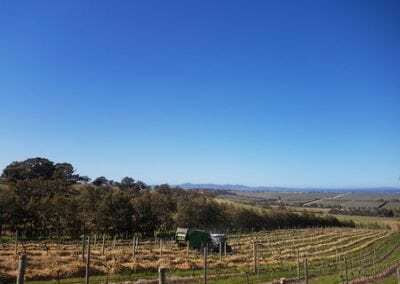 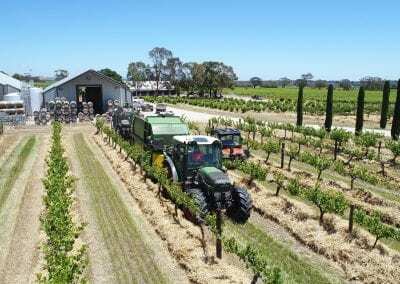 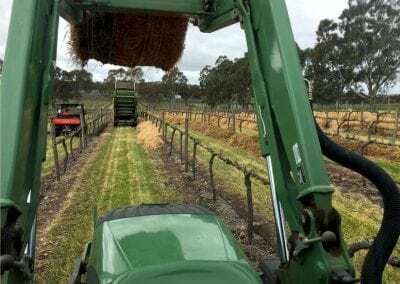 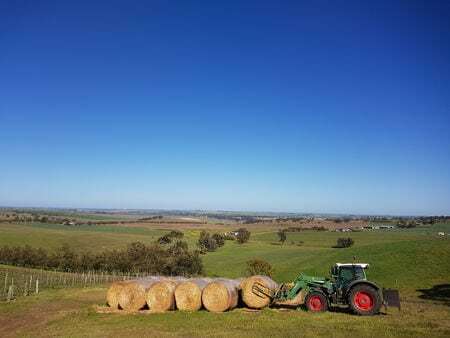 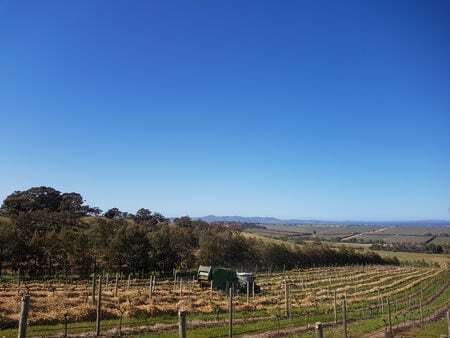 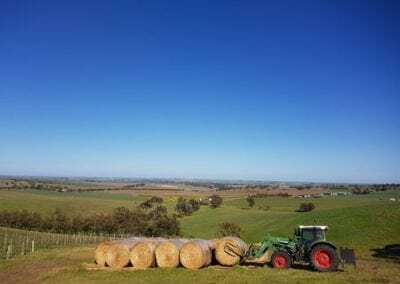 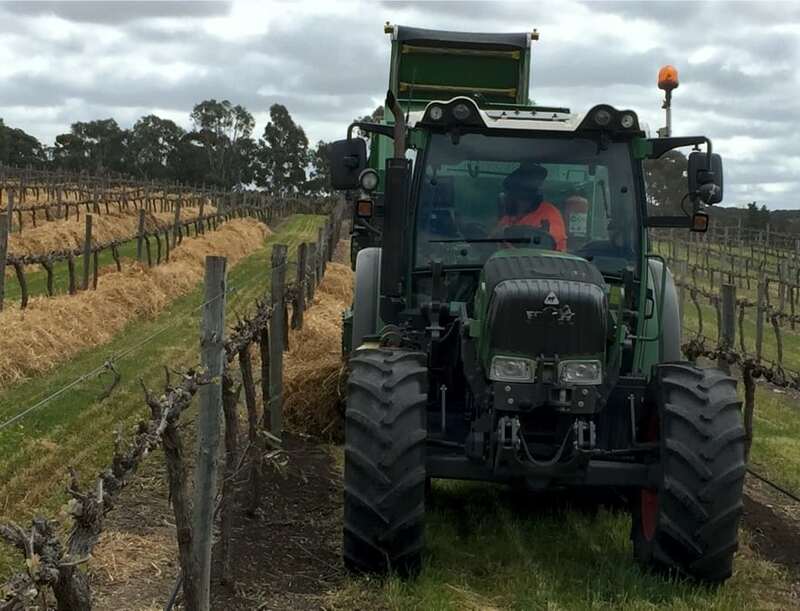 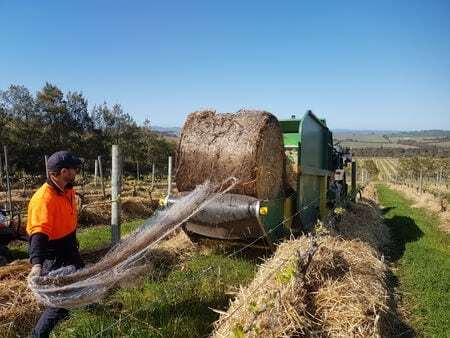 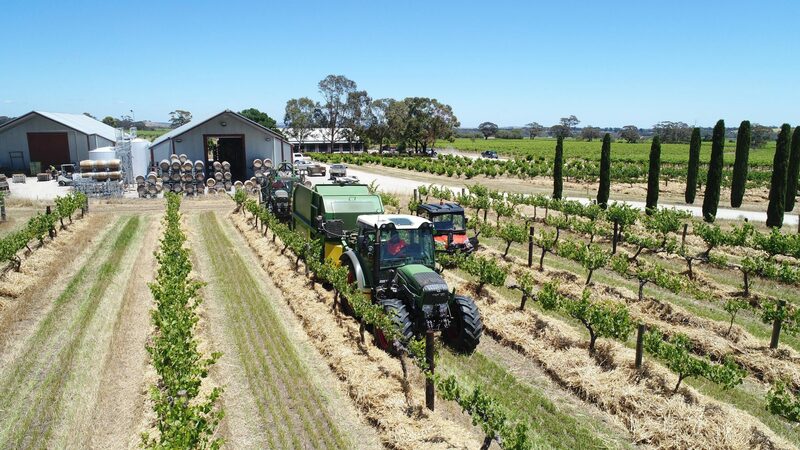 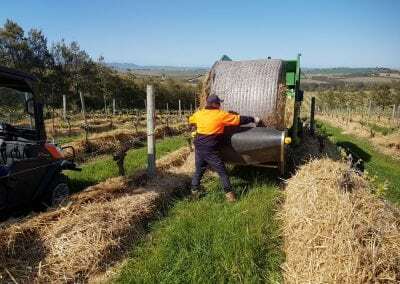 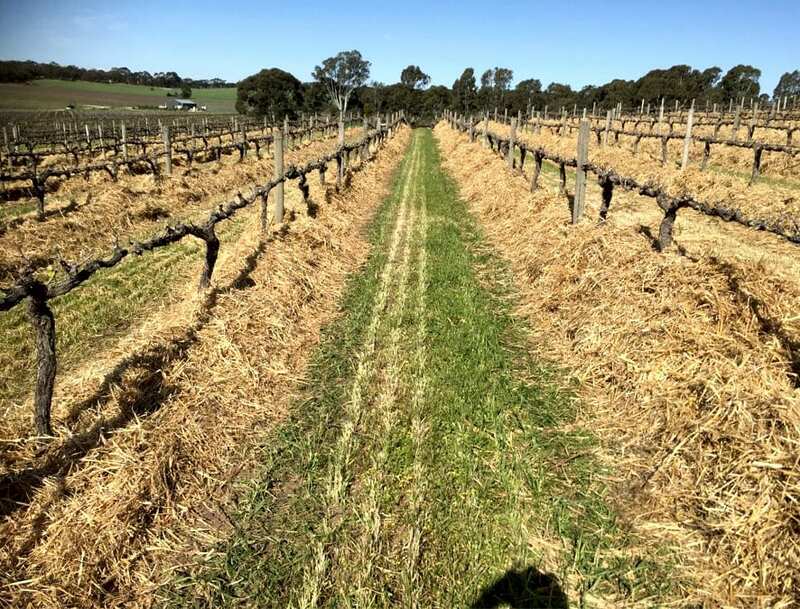 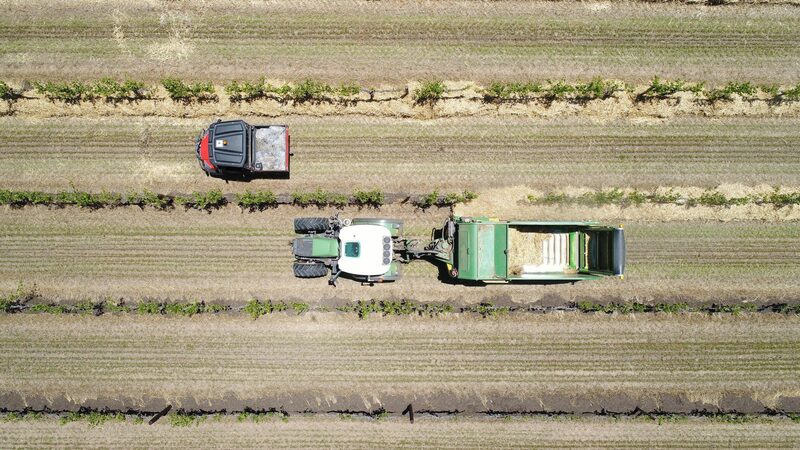 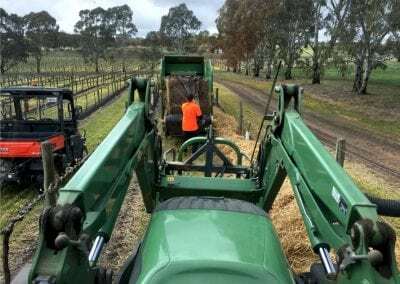 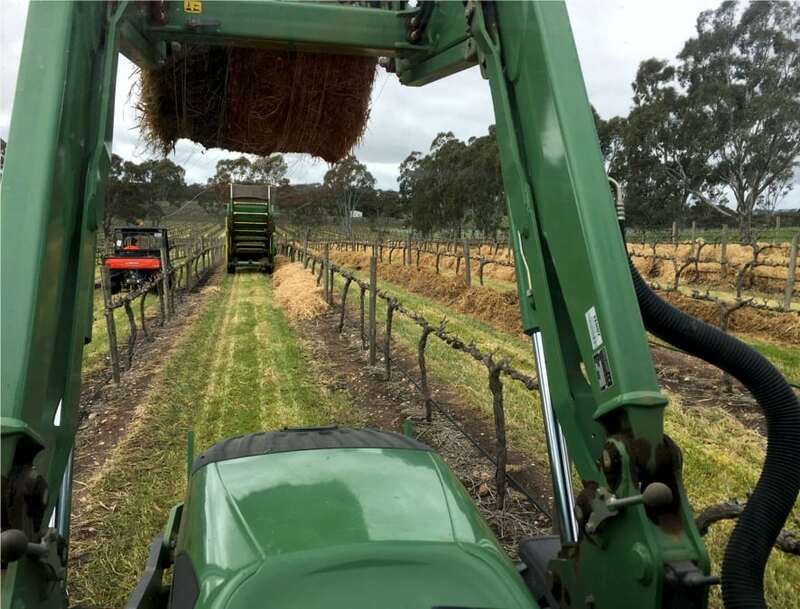 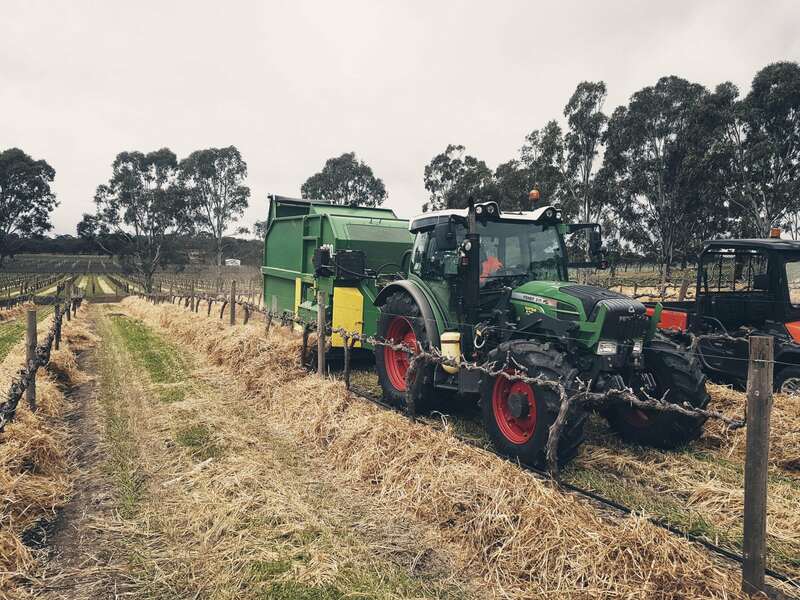 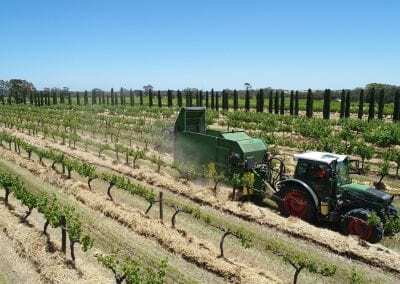 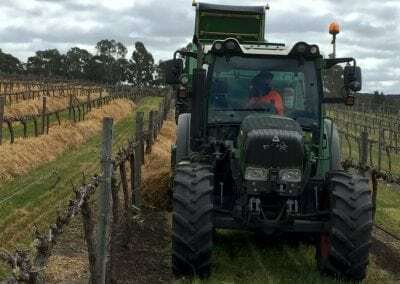 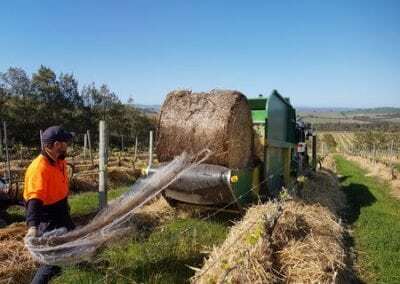 Why not allocate part of your vineyard to a straw mulching program and see the results for yourself.